Thailand put in a fine performance against 2 times World Cup champions Uruguay in the 2019 China Cup final. The War Elephants lined up without any major injury, and all 3 J League players (Chanathip Songkrasin, Theerathon Bunmathan and Thitipan Puangchan) starred in the starting XI. Uruguay won this same friendly tournament in 2018, but their current squad had two notable absentees; Luis Suárez and Edinson Cavani. However, experienced head coach Óscar Tabárez still fielded 7 members from the team that lost 2-0 to France at the Quarter-Finals of the 2018 World Cup – one of whom was captain Diego Godín. The South-East Asian side enjoyed a fair share of possession but were unable to force their way through Uruguay’s pressing and high defensive line. From a corner kick, Matías Vecino’s header slipped passed Siwarak Tedsungnoen at the near post in the 6th minute – the Buriram United keeper maybe should’ve done better to cover his position. The South American powerhouse then added 2 more goals in the 38th and 58th minute – Girona’s striker Cristhian Stuani bagging an assist and a goal. 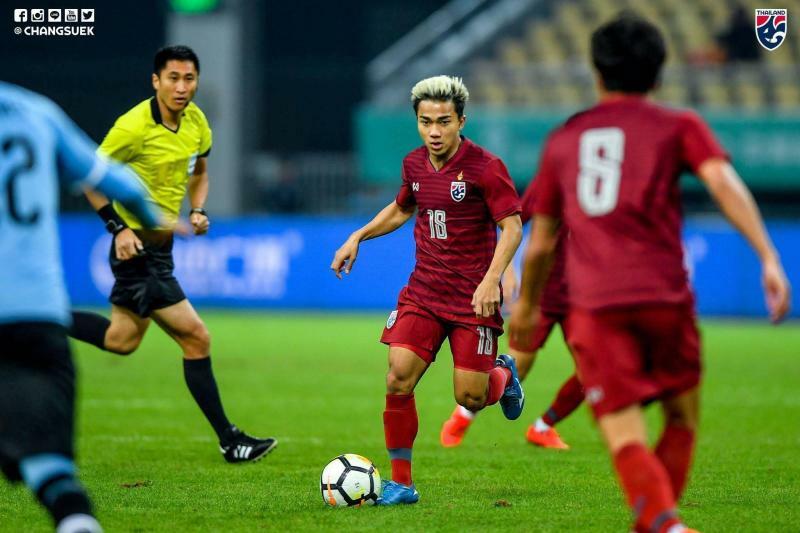 Thailand’s did raise their game in the second half – especially Chanathip, who was drawing a lot of fouls from the opposition thanks to his impeccable dribbling skills. In the 86th minute, substitute Peeradol Chamratsamee came close with his low shot from inside the box, only for goalkeeper Fernando Muslera to tip it away with a stunning reactive save. Seconds later, young striker Maximiliano Gómez’s deflected shot rolled into the empty net to make it 4-0. Overall, it was a fine performance by Thailand and a good experience for the players to come up against a strong Uruguay side. Indonesia’s national men’s senior team grabbed their third win of 2019 under new coach Simon McMenemy. Previously they had friendly games in Australia and a match against local club Bali United, but the game against Myanmar in the Mandalarthiri stadium was their competitive match counted as FIFA International Matchday friendly. 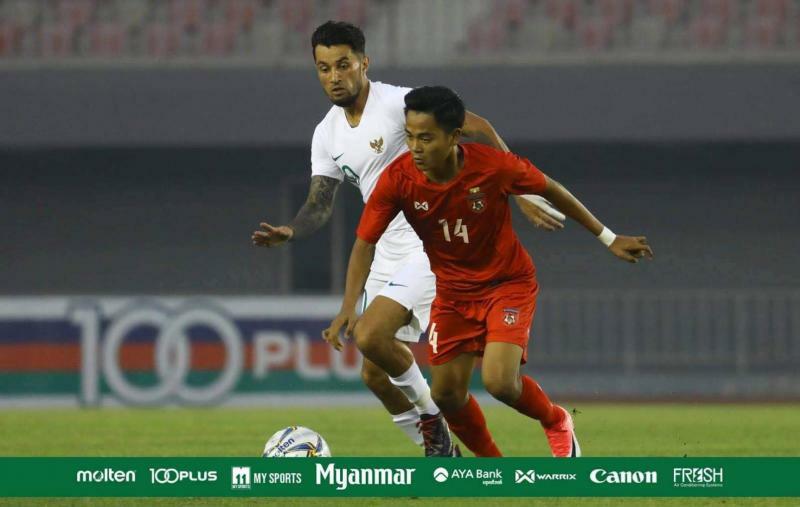 Playing in a 3-4-3 formation, Indonesia looked confident and shocked the host with a combination between Greg Nwokolo and Stefano Lilipaly, leaving Myanmar to seek chances from counter-attacking situations. The robust, attacking Indonesia finally scored in the 41st minute as Greg Nwokolo finished a back-heel assist from Lilipaly, as he tricked three defenders and the goalkeeper before hitting the back of the net. Three minutes later Myanmar had their chance after Manahati Lestusen conceded a foul in the penalty box. But Nyein Chan Aung missed the goal as Andritany Ardhiyasa blocked his shot right before the half-time. After the first half, Simon changed his defensive line, bringing on Ricky Fajrin and Novri Setiawan for Hansamu Yama and Ruben Sanadi. M. Rahmat, who scored a hattrick against Perth Glory, came on for Stefano Lilipaly as Indonesia looks for another quick goal in the second half. Unfortunately, Greg Nwokolo’s injured three minutes after and Ilija Spasojevic came as the fourth substitution on the 49th minutes. Simon let Indonesia’defensece line an their new players be tested by Myanmar’s attacking wave. Myo Min Tun’s boys played with more attacking intent, but the Garuda’s defense remained hard to break. Finally, Indonesia managed to kill the game after Ilija Spasojevic score a goal from the penalty spot five minutes from time. The penalty was awarded after Novri Setiawan was tackled on the box by Zaw Min Htun. The Montenegerin-born striker successfully conquered Kyaw Zin Phyo and score his fourth goal for Indonesia.